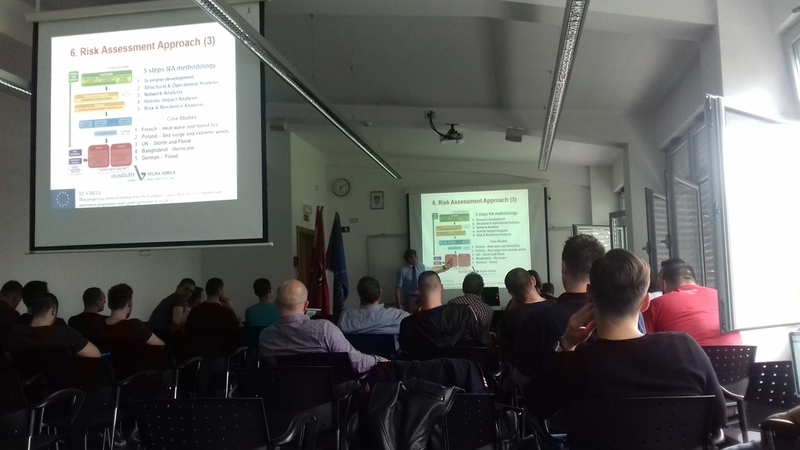 On 11 March 2017 the future crisis managers in Croatia had the opportunity to hear more about EU-CIRCLE, its progress and expected results at a seminar organized by the University of Applied Sciences Velika Gorica, with the participation of National Centre for Scientific Research – DEMOKRITOS. 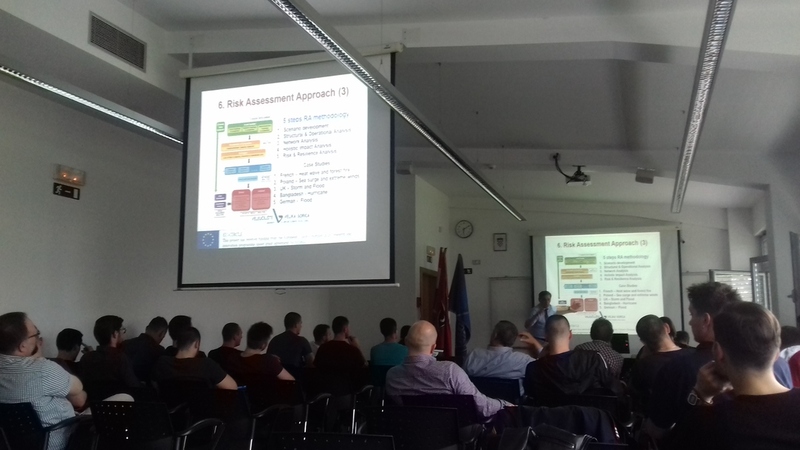 Students of the Crisis Management study programme have first been introduced to the EU-CIRCLE objectives, methodological framework and the agreed risk assessment approach, with a thorough explanation of notions such as critical infrastructure exposure, interconnections, interdependency and resilience. 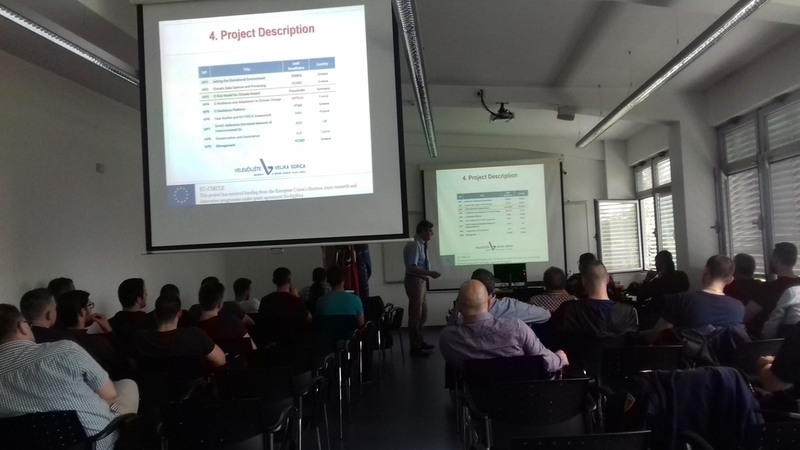 This was accompanied by a presentation of resilience indicators developed within the project, where the concept has been underpinned by various practical examples. 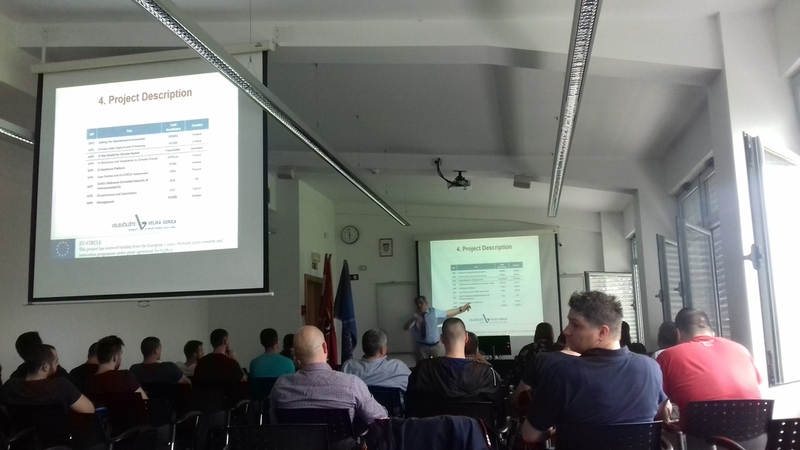 Finally, students learned about the role of climate change, its impact on critical infrastructure and how will the individual project case studies be implemented to validate the CIRP software and explore its benefits through simulated crisis situations caused by climate hazards. EU-CIRCLE has developed practical training material in the methodologies and tools developed by the project. The training material is aimed at CI operators, city managers, National Authorities (CI Regulatory Authorities, Environment Authorities, Met Offices), researchers and academics, consultants and any other interested individuals. A dedicated e-training platform has been created and can be accessed here. In order to exploit project results and create a “Critical Infrastructure resilience to climate changes” community, an exploitation model has been created. 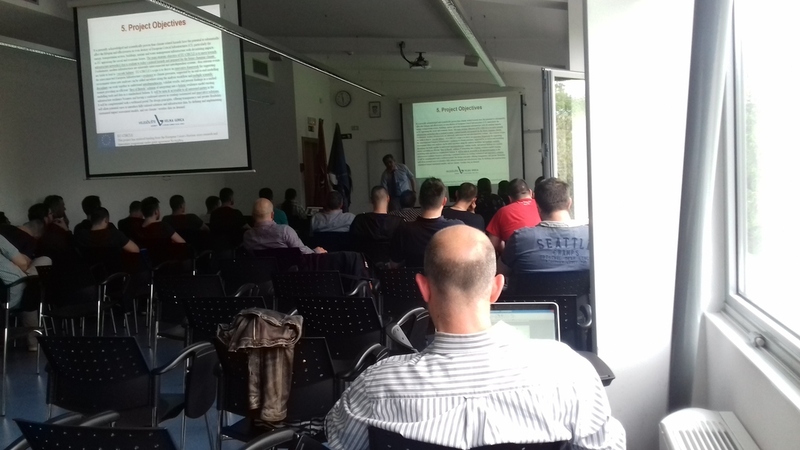 The objective is to facilitate the contacts and the business activities related to buy and sell models, data, services and assessment related to the project outcomes and CI resilience in general. EU-CIRCLE’s Resilience Assessment Tool, allows users to measure their CI’s Overall Resilience Index, through 18 indicators. Complete the end-user questionnaire guide here and calculate your CIs resilience! Disclaimer: The EU-CIRCLE project is funded by the European Commission DG-Connect in the Horizon 2020 Framework Programme. The content of this web site publication is the sole responsibility of the project partners. The information provided on this website has been prepared exclusively for the purpose of providing information about the EU-CIRCLE project and related activities. The EU-CIRCLE consortium has tried to ensure that all information provided in this website is correct at the time it was included. However, no representation is made or warranty given as to the completeness, accuracy and constant update of the information contained in this website. By accessing this website, you agree that the EU-CIRCLE consortium will not be liable for any direct or indirect damage or any consequential loss arising from the use of the information contained in this website or from your access to any other information on the internet via hyperlinks. The copyright in the material contained in this website belongs to the EU-CIRCLE consortium. The technology or processes described in this website may be subject to other intellectual property rights reserved by the EU-CIRCLE consortium or by other third parties in various countries. No license is granted in respect of those intellectual property rights. No information contained in this website can be considered as a suggestion to infringe patents. The EU-CIRCLE consortium disclaims any liability that may be claimed for infringement or alleged infringement of patents. This website is an offer of information by the EU-CIRCLE project team. Copyright © 2018 EU-CIRCLE Consortium. All rights reserved.